How To Enter: Go to this link:PCH.com during the sweepstakes period to access the PCH Win It All Sweepstakes entry page and then follow the online instructions to register by entering all information requested on the registration form and once you filled out the entry form now Click on the submit button to complete the registration form for your chance to win it all with PCH. Prize: $1,000,000.00 Lump-Sum, $1,000.00 A Week-For-Life Plus a Brand New Ford Explorer Platinum(or the $55,530.00 cash equivalent), $1,000,000, $25,000 and $10,000 cash prize. If above link doesn’t work then you can access the sweepstakes page by visiting their website at PCH.com. Who Can Enter: Open only to legal residents of the 50 United States and Canada (void in Quebec) who have reached the age of 18 years old at the time of entry. 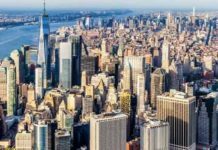 When To Enter: The PCH 1 Million Dollar Sweepstakes entry begins on August 27, 2018 and ends on February 28, 2019 at 11:59 p.m. ET. 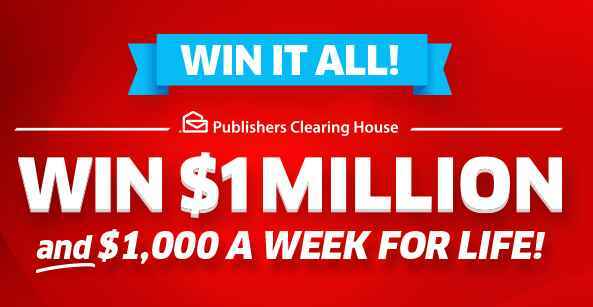 Who’s Sponsor: The PCH Win It All Sweepstakes Giveaway is sponsored by Publishers Clearing House 101 Winners Circle Jericho, NY 11753. After so many years in entering sweepstakes with PCH I hope at last I can WIN this one. I can really use $ 1,000,000.00 + $ 1,000.00 A Week For Life. Keeping my fingers crossed after waiting 29 yrs. Hope to see PCH real soon. I am claiming 1,000 a day for life gwy # 11000 plus win 15,000 cash gwy # 12284 during special early look event in just days away. I WANT TO CLAIM win $1 Million and $1,000 a Week For Life. I hope this is the time . I want to claim the $million and $1,000.00 a week for life it been 50 some years i hope this is it god bless you and thank you. I’m hoping this will be my real chance to make it happen for me. PCH I Would Like to Be Your 1,000,000 Winner on June 29th. I want to win on June 29th gwy #11000! ALREADY WIN :NOW GET THE REWARD ON HAND “WIN IT ALL” PCH GWY NO 11000 PLUS PAY DAY GWYNO 11699, PLEASE, REMEMBER ME, YES! I WANT TO WIN! PCH I Would Love To Be Your Big Winner. It Would Help Me and My Family and I Would Donate to Saint Judes to Help bring in New Machines, Medicines, New Food, New Beds, and TV’s For the Kids. PCH I Would Love To Be Your Big Winner. PCH I Am Claiming Ownership to The 1,000,000 Plus More. win $1,000,000,00 + $1,000.00 a week for life + new ford explorer. im in it to win it all. Would love to win it big on June 29th! Claiming my entry for $1,000,000.00 plus $1,000.00 a week for life on June 29th! Please enter my 5 entries to win $1,000,000.00 plus $1,000.00 a week for life. Thanks! If I was to win the $1,000,000,00 to take a good vacation. I have not left Lexington sin November 2014, my current income does not allow me to take a vacation or much of anything else. I am claiming my 3X entries to win the $1,000,000 plus $1,000 a week for life, and the brand new Ford Explorer valued at $55,530.00 from pch. Again, I did not receive any token for this search, but, when I win, it will make it all better! PCH I want to win $1,000.000.00 plus $1,000.00 a week for life GWY, NO.11000. PCH I Love To Be The Million Winner plus Life Winner. My first would be for my 6 grand kid, making sure they get everything they need and a lot of things that they want. But after that since I don’t have any money in my hands I have a lot of dreams, but the amount of money received could make a lot of changes. I sure would like to win the $1,000.00 a day for life plus -=- 11000 sure would change my retirement life and others. I want to get entries so I can win the $1,000.00 a day for life and the $15,000.00 cash — 11936 == so I can take a vacation. Search #1 of 4 to get 4 entries to win the $1,000,000.00 VIP Elite Prize == 11812. I request 1 entry for this search. Search #2 of 4 to get 4 entries to win the $1,000,000.00 VIP Elite Prize == 11812. I request 1 entry for this search. Search #3 of 4 to get 4 entries to win the $1,000,000.00 VIP Elite Prize == 11812. I request 1 entry for this search. Search #4 of 4 to get 4 entries to win the $1,000,000.00 VIP Elite Prize == 11812. I request 1 entry for this search. PCH SEARCH & WIN … $1,000.00 A DAY FOR LIFE AT STAKE. Winning this award would be a time of great happiness for my whole family. I would change our lives forever. I am Positive and I believe that dreams come true. Yes i believe. Please enter my entry to win $1,000.00 a day for life. I would love to win $1,000.00 a day for life, so please enter my entry please. PCH please shock me with a BIG check that I win $1,000.00 a day for life. I have to rub my eyes to see that I’m not dreaming. Waiting for you! I’ve been waiting for 31 yrs. from you PCH to show up to my door with a BIG check. I’m looking forward in seeing you soon. Bless you PCH for changing so many lives. PCH It is my turn to win the million dollar plus the $1,000.00 a day for life. I’m waiting for your PCH Patrol car comes to my house with the BIG check & the colorful balloon with the beautiful roses. PCH it is time for my turn to win the 1 million + $1,000.00 a day for life. It would be a miracle dream when I see your PCH Patrol car come to my house with a BIG check and all those colorful balloon & the beautiful roses. PCH Frontpage, I want to win $ 1,000.00 a day for life during special early look prize event, now and on August 31, 2018. I looking forward to seeing your PCH Patrol car comes to my house. It would change my life and my family so much. PCH SEARCH&WIN I wish to claim 6x opportunities for the prize, number 1- GWY. DO NOT. 11000, $ 1,000,000.00 a day for life. CH SEARCH&WIN I wish to claim 6x opportunities for the prize, number 2- GWY. DO NOT. 18000, $ 1,000,000.00. I want to win the $1,000.00 a day for life === 11000 or one of the other good prizes. Search #1 of 6 — For this, I’m doing 6 searches to get 3 entries to win $1,000.00 a day for life == 11000 == and 3 entries to win $1,000,000.00 Exclusive VIP Prize == 11812. Search # 2 of 6 — For this, I’m doing 6 searches to get 3 entries to win $1,000.00 a day for life == 11000 == and 3 entries to win $1,000,000.00 Exclusive VIP Prize == 11812. Search # 3 of 6 — For this, I’m doing 6 searches to get 3 entries to win $1,000.00 a day for life == 11000 == and 3 entries to win $1,000,000.00 Exclusive VIP Prize == 11812. Search # 4 of 6 — For this, I’m doing 6 searches to get 3 entries to win $1,000.00 a day for life == 11000 == and 3 entries to win $1,000,000.00 Exclusive VIP Prize == 11812. Search # 6 of 6 — For this, I’m doing 6 searches to get 3 entries to win $1,000.00 a day for life == 11000 == and 3 entries to win $1,000,000.00 Exclusive VIP Prize == 11812. Yes I am claiming 3X entries to win $1,000.00 a day for life on August 31st. Please enter my entry to win 1,000.00 a day for life. I Ulises Zacarias want to claim sole rightful ownership of said prize number and all prize monies it may win for its owner from this notice and claim my Forthcoming VIP ELITE MILLIONAIRE-Making status on Aug 31st from this early look event from Pch giveaway no 11000. Thank you god and thank you PCH AND GOD BLESS YOU AND YOUR FAMILY’S. PCH I’ve been waiting to see your PCH Patrol car since 1987, It us high time for you to come to my door with a BIG check for $1,000.00 a day for life plus a new car accompany by the colorful balloon & the beautiful bed of roses. I would love to win $1,000.00 a day for life from PCH Gwy #11000. I waiting to win the 1 million dollar plus the $1,000.00 a day for life. Looking forward in seeing the PCH Patrol card comes to my door. Entry for $1,000.00 a day for life and some good pocket change of $50,000.00 ===11000 and 10074. Yes it would be awesome to win $1000000 in cash and$1, 000 a week for life and $50, 000 cash prize total awesome it would be my dream come true and share it with family and friends. YES. YES. YES. YES.! I want to win the $1,000.00 a day for life. I would like to help my youngest daughter in someway. she has 4 kids, 1 14 and autistic, twins that will be 3 in December and 1 that will be 1 in September. I want to win the $1,000.00 a day for life — 11000. There are many reason, some personal, I’m working to win. It is high time I win something after working for 63 yrs. and retired at age 80. I need to enjoy the prize of $1,000,000.00 plus $1,000.00 a day for life. I’m wishing for a blessed miracle. I’m looking forward to see he PCH Patrol car to show up at my door with a million dollar check plus qualify to win $1,000.00 a day for life. It would be a great blessing. I can hardly wait to see the PCH Patrol car with Danielle, Todd & Dave to show up at my house. I would love to see they show me I have won the million dollar check plus qualify to win $1,000.00 a day for life and with all their colorful balloon & beautiful roses. I would have to pinch myself to make sure that I’m not dreaming. I want to win the $1,000.00 a day for life – 11000 — I want to be presented a big, big, big check. I would like to win the $1,000.00 a day for life –11000 plus the $50,000.00– Don’t forget my red MUSTANG convertible. I want to win the $1,000.00 a day for life — 11000 so I can see my bank account to overflow. I would love to win it all on August 31st that would be a dream come true for the $1, 000 a day for Life price the $1000000 cash prize the 10 million dollar cash prize these are what dreams are made of to be a winner with Publishing Clearing House all I can say. YES. YES. YES. YES! I would like to see the PCH Patrol car come to my house with a million dollar check. Then I have to pinch myself to make sure I’m not dreaming. PCH FRONTPAGE: I want to claim my tickets for the VIP event ELITE RAFFLE 2 RISHES PCH Gwy. No. 10424, value of $ 50,000.00 on August 16th. Search #1 of 4- I want to and need to win any good prize I can. Search # 2 of 4- I want to and need to win any good prize I can. Search # 4 of 4- I want to and need to win any good prize I can. PCH Search & Win, I want to confirm my entrance to the prize queue, $1,000.000.00 SUPERPRIZE PCH Gwy. No. 18OOO. Thank you. PCH FRONTPAGE I WANT TO CLAIM THE 2X ENTRIES TO WIN $ 10,000.00 PRIZE PLUS $ 1,000.00 PRIZE. GWY NO. 11804 AND 11803. I WANT TO CLAIM THE ENTRIE TO WIN $ 10,000.00 PRIZE PLUS $ 1,000.00 PRIZE Gwy. No. 11804. PCH Search&Win..I WANT TO CLAIM THE ENTRIE TO WIN $ 10,000.00 PRIZE PLUS $ 1,000.00 PRIZE Gwy. No. 11804. 6- PCH Search & Win I WANT TO CLAIM LAST ENTRY TO WIN $ 1,000.00 Raffle to Risches Gwy. No. 11803. It would be a wonderful feeling to win the million dollar plus the $1,000.00 a day for life. Not only helping myself (raising 5 children) & family but to enable me to put many smiles on my treasure charities. So here I’m hoping I’ll be bless to win the PCH No. 10074. PCH Frontpage, I want to claim my entries and the opportunity to win $ 75,000.00 (PCH Gwy. No. 10074). I want to claim my entrie and the opportunity to earn $ 25,000.00 cash prize from (PCH Gwy. No. 11475). I would love to be one of the Publisher Clearing House winner. I searched on PCHSearch&Win for my chance to win $25,000.00 Cash Prize from PCH Gwy. No. 11457 on August 31. I’m Ready To Win! I would rather win the $1500.00 a day for life,. but I would settle for the $1,000.00 a day for life. I wish to claim my eligibility to the Superprize at stake (PCH Gwy. No. 11000), $ 1,000.00 a day for life on August 31, 2018, at the special early look event. WIN it all from PCH $1 Million to $1,000.00 a day for life. Hello dear PCH please can l just get a chance to win this of$2,000.00 a day for life GWY no 11000 on August 31st please dear PCH l haven’t been receiving an email from you guys. Thanks dear please help me. Search # 1 of 5 === I would like to get entries to win each search. Search # 2 of 5 === I would like to get entries to win each search. I would like to be the winner of the $10,000.00 and $1,000.00 a day for life. Finally I can relax after working 63 yrs. (retired at age 80) and to help my family. Also, it enable me to donate for my faith, help the wounded soldiers, blinded Vets, “Smile Train”(children that was born with defected facial and need surgeries). It would be such a blessing. Search # 4 of 5 === I would like to get entries to win each search. I Would Love To Be A Winner of A Million Dollars PCH. Yes, I would love to “Win $1,000,000.00.PCH Gwy. No. 18000” on08/31/2018. Thank you PCH for this opportunity. I’m playing to win the $1,000.00 a day for life, i perform all searches presented to me, I complete all the “VIP’S”, all the “HOME’S every day I have accumulated over 186,000,000 tokens averaging over 300,000 per day. I want to win a good prize. Please enter my entry to win $1,000.00 a day for life, I want to win. I’m looking forward to be the lucky winner of the $1,000,000.00 super prize plus $1,000.00 a week. PCH Frontpage I wish and hope to be on the list of millionaire winners list win $ 1,000.00 a day for life on August 31, 2018, (PCH Gwy.No. 11000). I want to win $1,000,000.00 Superprize (PCH Gwy. No. 18000) on August 31,2018. I want to win $15,000.00 FOR VACATION (PCH Gwy. No. 11936). I’ve got 6 searches that I’m going to do to get entries for each. PCH FRONTPAGE I WANT TO WIN $1,000.00 A DAY FOR LIGE PCH( GWY. NO. 11000), ON AUGUST 31,2018. Claim my entry. Hello, I would love to win $1,000,000.00 so please enter my entry to win. PCH FRONTPAGE I WANT TO WIN $1,000.00 A DAY FOR LIFE PCH( GWY. NO. 11000), ON AUGUST 31, 2018. I WANT TO CLAIM MY ENTRIES VIP ELITE BIG PRIZE THANK YOU. PCH FRONTPAGE I WANT TO WIN $1,000.000.00 VIP EXCLUSIVE PRIZE ( GWY. NO. 11812). I WANT TO CLAIM MY ENTRIES VIP ELITE BIG PRIZE THANK YOU. Morning dear PCH. I’m searching to except and activate my entry. for my entry Numbers to win this prize opportunity for $1,000.00 a day for life GWY no 12000 on August 31st. Thanks dear PCH. I’m playing to win the $1,000.00 a day for life – 11000 — Or any of the other large prizes I have played to win. I would love to be the winner of No.18000 which is the $1,000.00 a day for life. I can hardly wait. PCH Search& Win… (MYSTERY PRIZE MANIA EVENT) I want to win $1, OOO.OO A day for life, (PCH Gwy. No. 11000) plus $50,000.00 bonus (PCH Gwy. No. 11002), plus win a Brand Ford a New Explorer (PCH Gwy. No. 10074) on August 31, 2018 Thank you for the chance of win this prize and claiming my entries. Thank You PCH. PCH Search& Win… (MYSTERY PRIZE MANIA EVENT) I want to win $1, 000.000.000 (PCH Gwy. No. 18000). Thank you for the chance of win this prize and claiming my entries. Thank You PCH. I searched on PCHfrontpage and PCHSearch&Win for my eligibility to Win $1,000.00 A Day For Life PCH Gwy. No. 11000 on August 31st, 2018. I’m Reaching For My Dreams Come “True! I Hope To Open My Door on August 31st, and See The Prize Patrol standing there holding a Big Check, Red Roses, Balloons, and Champagne to celebrate the “Big Occasion. Yes, I would like to win this $1,000.00 A Day For Life, Life Changing Prize from PCH Gwy. No. 11000 on August 31st, 2018. I’ve got 4 searches to do trying to win a good prize. Please entries cause i want to win …. PCH Search & Win … (MYSTERY PRIZE MANIA EVENT) I want to win $10,000.00 Luxury Vacation from (PCH Gwy. No. 11936). I request the entry 4/4 buttons. Thank you PCH for all the opportunities given in this event. PCH Search & Win…I want to win $ 1,000.000.00 (PCH Gwy. No. 18000 Please claim my entry for win the prize. Thank You PCH. PCH Search & Win…I want to win $25,000.00 Towards a shopping Spree (PCH Gwy. No. 11475) Please claim my entry for win the prize. Thank You PCH. Search #3. PCHSearch&Win, I WANT TO WIN $1 MILLION PLUS $50,000.00 Cash from PCH GWY #18000. Search #3. PCHSearch&Win, I WANT TO WIN $1,000,000.00 PCH GWY #18000 plus $50,000.00 Bonus PCH Gwy #10425. I’ve got 5 searches that I will be doing. I want to claim entries for each search to win. I’m playing to win a good retirement prize. I would love to be the winner of $1,000,000.00 plus $1,000.00 a day for life. Requesting entries to win the $1,000.00 a day for life – 11000 – maybe I could have a retirement. PCH Frontpage. 5 Incredible Prize. Please claim my chance #4 win $25,000.00 at stake (PCH Gwy No, 11475). Thank You. Please claim my chance #5 win $15,000.00 cash at stake (PCH Gwy No, 11936). Thank You. PCH Search & Win …Gold Number Claim Certificate… I, Milagros Garcia Chooose to Definitively claim my unique prize number and full eligibility for win the prize $ 1,000.00 a day for life, on August 31, 2018 the Lifetime prize from (PCH Gwy No. 11000). Yes I would love to be one of the Publishing Clearing House winner of the 1000 a day for Life prize it would be a dream come true for me. Yes I want to win $15,000.00 Cash Prize. Please enter my entry to win $1,000.00 a day for life. Thanks! I’m going for a big win with this 5 different searches, I want to win each of the 5 searches. PCHSearch&Win EXECUTIVE PRIZE NOTICE 5 MAJOR PRIZES AT STAKE! PCHSearch&Win, I’m searching for all 5 prizes in a row before the 11:59 PM, ET deadline! I want to be eligibility to win “all 5 prizes. I’m ready to win it “all. I’m entering before 11:59 PM, ET deadline! I’m entering before the 11:59 PM, ET deadline! Search 3. $25,000.00 For Home Makeover (PCH GWY 11475) Entering before 11:59 PM, ET deadline! PCH Frontpage… Major prizes at stake. I want to claim my 2/3x entries to win the $15,000.00 cash prize from (PCH Gwy. No. 11936). Thank You. PCH Frontpage… Major prizes at stake. I want to claim my 3/3x entries to win the $15,000.00 pay day event (PCH Gwy. No. 12284). Thank You. PCH Frontpage… Major prizes at stake. I want to claim my 3/3x entries to win the $10,000.00 pay day event (PCH Gwy. No. 12284). Thank You. Yes I would love to be one of Publishing Clearing House winner of the 1000 a day for life. I’m going to be doing 4 searches to get 4 entries to win the VIP EXCLUSIVE $1,000,000.00 —11812. I want to have a good retirement and find a good female. I’m searching on PCHSearch&Win to secure eligibility to be selected the winner of it all. PCHSearch&Win I’m claiming $1,000.00 A DAY FOR LIFE PLUS UP TO $10,000.00 AUTHORIZED FOR AWARD ON AUGUST 31ST. I SHERYL BORK, AM SEARCHING NOW TO CLAIM SAID PRIZE NUMBER TO BE COMPLIANCE WITH PCH REGULATIONS WITH PCH REGULATIONS SO I WON’T RISK MISSING OUT ON WINNING WITH IT! I Sheryl Bork am claiming any prize numbers unclaimed. I’m claiming a millionaire-making prize at stake! I’m making the right decision and taking the ONE FINAL STEP REMAINING by searching now! The results of this could become life-changing! I realize, If there is no match to the winning number, an alternate will be selected to receive a base winning prize instead. PLUS! GOOD NEWS! August 31st is PCH Pay Day! Over 20,000 amazing prizes will be awarded in all! Yes, I’m claiming every bit of what I can! Yes, I’m “Hurrying! PCHSearch&Win I’m claiming eligibility to be entered to win among over 20,000 amazing prizes to be awarded in all! PCHSearch&Win Activate my entries. I Want To Win! I’m Ready To Win! PCHSearch&Win I’m searching now to get in to win $15,000.00 in event exclusive prizes from PCH Gwy. No. 12284! I searched on PCHSearch&Win for eligibility to win it “all. PCHSearch&Win I Sheryl Bork am completing my ONE FINAL STEP REQUIRED for full eligibility to be selected the winner from it: $1,000.00 A Day For life PCH GWY. No. 11000 PLUS, over 20,000 amazing prizes to be awarded in all on August 31st PCH Pay Day! I’m “Hurrying! I’m searching now to get into win $15,000.00 in event exclusive prizes from PCH Gwy. No. 12284! PCHSearc&Win Activate my entries to win any and “all prizes possible! I Want To Win! I’m Ready To Win it “All! I’m a Believer of Publisher Clearing House Giveaways. PCH Search & Win … MEMBER LOYALTY SUMMARY… I want to win $ 1,000,000.00 VIP EXCLUSIVE from (PCH Gwy. No.11812). Please activate my entry for the opportunity in Vip Elite Reward. Thank you. I searched on PCHSearch&Win for eligibility to win it “all. I’m claiming my prize number from this very notice. 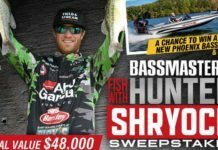 PCHSearch&Win I Sheryl Bork am completing my ONE FINAL STEP REQUIRED for full eligibility to be selected the winner from it: $1,000.00 A Day For life PCH GWY. No. 11000 PLUS UP TO $10,000.00 PLUS $15,000.00 PCH Gwy. No. Authorized For Award on August 31st PLUS over 20,000 amazing prizes to be awarded in all on August 31st PCH Pay Day! I’m “Hurrying! I’m searching now to get into win $15,000.00 in event exclusive prizes from PCH Gwy. No. 12284! I’m searching for $1,000.00 A Day For life and $10,000.00! I’m searching for it “all. PCHSearc&Win Activate my entries to win any and “all prizes possible! I Want To Win! I’m Ready To Win it “All! I’m a Believer of Publisher Clearing House Giveaways. I Want To Win! I’m waiting to win with 2 X entries for the VIP EXCLUSIVE PRIZE from PCH Gwy. No. 11812. PCHSearch&Win 2X ENTRIES To Win $1,000.00 A Day For Life! I WANT TO WIN! I searched on PChSearch&Win. I Want My Chance To Win This SuperPrize During The Special Early Look Prize Event. I’m Acting By The 8/24 11:59 PM, ET entry deadline. I’ll be Ready For Award On August 31st. PCHfrontpage I searched for my eligibility to win. I’m ready to win $1,000.00 A Day For life on August 31st during this special early look prize event PLUS I’m ready to win $10,000.00 (PCH Gwy. No. 12284) August 31st. I’m claiming my chance to win among over 20,000 Prizes To Be awarded on PCH Pay Day Event! PCHfrontpage I searched for eligibility to win $1,000.00 A Day For life (PCH Gwy. No. 11000 PLUS $10,000.00 (PCH Gwy. No. 12284) on August 31st during the special early look prize event. I’m searching now, hoping to be a “Big Winner! I WANT TO WIN IT “ALL! It’s a dream to win $1,000,000.00 plus $1,000.00 a day for life. This sure enable me a lot of good deeds. 1) PCH Search & Win…Show Us How Much you want to win… I want to claim my winner entry the $1,000.00 a day for life, from (PCH Superprize Gwy. No.11000) and win up to $10,000.00 PCH Pay Event from(PCH Gwy. No. 12284) on August 31, 2018. Thank you. Performing 5 different searches to get entries to win each search amount. PCH I Love To Win 1,000,000 For A House. I Donna and i Am Dreaming of Becomming A Winner. PCHSearch & Win … Only & Final Alert… I want to get my 5x entries for the exclusive cash prize of $ 1,000.00 in game. Thank You. PCHSearch & Win … 10X entries only hours left… I want to get my 10x entries to win $1,000.00 for the exclusive cash prize. Thank You. AS A PCH EXCLUSIVE ELITE, I HEREBY CLAIM ALL ENTRIES TOWARDS WINNING THE $1,000,000.00 PLUS $1,000.00 A DAY FOR LIFE AND A NEW CAR. THANK YOU PUBLISHERS CLEARING HOUSE FOR ALL YOUR EFFORTS! PCH Frontpage …I want to claim the entries Button # 2. I want to win $1,000,000.00 from (PCH Gwy. No. 18000) on August 31, 2018. Hello dear PCH please confirm my entry l would like to have a chance to win this prize opportunity for $1,000.00 a day GWY no 11000. Thanks PCH. PCH Search & Win Official Fle Inspection Complete … I want to confirm through a search my full eligibility to win $ 1,000.00 a day for life and win up to $ 10,000.00 as part of the PCH Pay Day. Thank you. I Ulises Zacarias want to claim sole rightful ownership of said prize number, and all prize monies it may win for it’s owner win $1,000,000.00 cash prize plus $50,000.00 cash bonus and win $1,000.00 A DAY FOR LIFE FROM ( PCH GWY NO’S. 11000-11002 ) CLAIM MY PCH VIP ELITE FORTHCOMING MILLIONAIRE-MAKING ON AUGUST 31ST FOR MY FINAL STEP , THANK YOU GOD AND PCH. PCH Search & Win…VIP ELITE EXTRA REWARD APROVED…I want to claim my entry for win $1,000.000.00 a day for life ( PCH Gwy. No. 11000) plus $50,000.00 (PCH Gwy No. 10425) elite bonus amount Thank you. PCH Search & Win…VIP ELITE EXTRA REWARD APROVED…I want to claim my entry for win $50,000.00 (PCH Gwy No. 10424) vip elite prize amount. Thank you. Thank You for my entry in the Pch $1,000,000.00 and $1,000.00 a week for Life , It would be Great to Win . PCH Search & Win … PCH Pay Day … I want to claim my entries for win $1,000.00 a day for life (PCH Gwy No. 11000) plus 3x entries to win a PCH Pay Day exclusive prize on August 31, 2018. PCH Search & Win … PCH Pay Day … I want to claim my (# 2 entry) for win $1,000.00 a day for life (PCH Gwy No. 11000) plus 3x entries to win a PCH Pay Day exclusive prize on August 31, 2018. PCH Search & Win … PCH Pay Day … I want to claim my (#4 entry) for win up to $10,000.00 (PCH Gwy No. 12284) plus 3x entries to win a PCH Pay Day exclusive prize on August 31, 2018. PCH Search & Win … PCH Pay Day … I want to claim my (#5 entry) for win up to $10,000.00 (PCH Gwy No. 12284) plus 3x entries to win a PCH Pay Day exclusive prize on August 31, 2018. PCH Frontpage…Time is Running Out. I want to win $1,000.00 a day for life plus win up to $10,000.00 (PCH Gwy No. 12284) PCH Pay Day prize, on August 31, 2018. PCHSearch & WIn… Bonus Opportunity Reserved For Vip Elites Only. 1- I want to claim 3x Entries to win $1,OOO.OO A Day For Life from (PCH Gwy. 11OOO) on Augus 31, 2018, during a special early look event. 2- I want to claim 3x Entries to win a $1,OOO,OOO.OO Exclusive VIP Prize from (PCH Gwy. 11812) on August 31, 2018. To win any of these great prizes would sure make an old man very happy for life! I’m going to be doing 6 searches and I will need to get entries for each search. This is search 4 of 6. This is search 6 of 6. SEARCH #2. 3X Entries To Win $1,000.00 A Day For Life! Plus, 3X Entries To Win A $1,000,000.00 Exclusive VIP prize from PCH Gwy 11812. SEARCH #4. 3X Entries to win $1,000.00 A Day For Life, during special early look event from PCH Gwy. 11000 authorized to be awarded on August 31st. Plus, 3X Entries to win $1,000,000.00 Exclusive VIP Prize from PCH Gwy. 11812. I’m searching from all SIX Buttons by tomorrow’s 11:59 PM, ET entry deadline. YES, TIME IS RUNNING OUT! Only hours left. I’m Searching Now! $1,000.00 A Day For Life PCH Gwy. No. 11000 special early look event Plus, EXCITING EXTRA! PCH Pay Day $10,000.00 from PCH Gwy. No. 12284. I Want To Win $1,000.00 A Day For Life PCH Gwy. No. 11000 special early look event Prize Plus EXCITING EXTRA PCH Pay Day Event $10,000.00 from PCH Gwy. No. 12284. Search #1…PCH Search & Win…Final Proclamation Final Day… I want to win $1,000.00 a day for life on August 31 & win up to $10.000.00 over $20,000 prizes guaranteed to be awarded on PCH Pay Day. Please active my entry for the win. Thank You. Search #2…PCH Search & Win…Final Proclamation Final Day… I want to win $1,000.00 a day for life on August 31 & win up to $10.000.00 over $20,000 prizes guaranteed to be awarded on PCH Pay Day. Please active my entry for the win. Thank You. PCH I want to claim ownership and active Final Opportunities entries to win $1,000.00 a day for life SuperPrize GWY #11000, a $1 Million SuperPrize GWY #18000 and up to a $10,000.00 prize GWY #12284, 8/31/18. I want to win this prize. Search #4…PCH Search & Win…Final Proclamation Final Day… I want to win $1,000.00 a day for life on August 31 & win up to $10.000.00 over $20,000 prizes guaranteed to be awarded on PCH Pay Day. Please active my entry for the win. Thank You. Yes I would like $100,000.00 Instant Cash from PCH. I want to win the $1,000,000.00 prize plus $1,000.00 a week for life. Please make my dream come true. I hope to win the $1000000 cash prize the $1, 000 a day for Life prize the $50, 000 cash bonus price and with the number.11000 and 6900 and all that felt in between. Search #1. $1000,000.00 VIP EXCLUSIVE PRIZE! PCH Search & Win I wish to win a 2018 Ford Explorer valued at $34,670.00 plus $10,000.00 cash on August 31, 2018. Please active my entry. Thank You. PCH Search & Win I want to win a 2018 Ford Explorer valued at $34,670.00 plus $10,000.00 cash on August 31, 2018. Please active my entry # 2. Thank You. PCH Search & Win I wish to win a 2018 Ford Explorer valued at $34,670.00 plus $10,000.00 cash on August 31, 2018. Please active my entry #3. Thank You. PCH Search & Win I wish to win a 2018 Ford Explorer valued at $34,670.00 plus $10,000.00 cash on August 31, 2018. Please active my entry #4. Thank You. I’m Hurrying – – I’m CONTINUING ON TO ENTER BEFORE 11:59 PM, ET TONIGHT! I’m Hurrying – – I’m CONTINUING ON TO ENTER BY 11:59 PM, ET TONIGHT! I’m searching on PCHSearch&Win to win among 20,000 amazing prizes TODAY ON August 31st PCH PAY DAY (Gwy. No. 12284) I’m claiming my chance to win. Enter me for my chance to win. Enter me to WIN IT “ALL! I’m Hurrying – – I’m CONTINUING ON TO ENTER BY 11:59 PM, ET TONIGHT. Yes I’m searching on PCHSearch&Win to win among 20,000 amazing prizes TODAY ON August 31st PCH PAY DAY (Gwy. No. 12284) I’m claiming my chance to win. Enter me for my chance to win. Yes I want to win $1,000,000.00 cash prize from PCH. PCH Search & Win … Five Star Rewards … I want to win $ 10,000,000.00 I want to claim my 2x entries reward # 1,2, in a big way. PCH Search & Win. I want to win $ 10,000,000.00 I want to claim my 2x entries reward # 3,4/5, in a big way. PCH Search & Win … VIP ELITE … I want to win $ 10,000,000.00 I want to claim my 2x entries reward # 5/5, in a big way. Yes. the Bork Bank Account Would Flow With Cash If I Won! PCH is authorized to transfer prize funds into a winner’s bank account. Yes, I could become that Winner if I Search Now! Yes, I’m prepared to be awarded $1,000.00 A Day For life prize from PCH Gwy. No. 11000 at Giveaway End! Yes, this PCH prize is still up for grabs! That means I could still get in to win this prize at Giveaway End! Yes, Searching Now I could become the winner! Yes, PCH I’m thinking what’s still at stake here. $1,000.00 A Day For Life. Yes, I could watch my bank account grow with a SuperPrize. And, yes, it could all start with a memorable visit from the Prize patrol at my residents! Yes, I’m Ready To Win! I’m Claiming Eligibility To Win $1,000.00 A Day For Life prize from PCH Gwy. No. 11000 at Giveaway End! PCH Search & Win. Claiming my entry # 1 of 50 Cash Winners from the bulletin in this exclusive giveaway. Cash Winner Guaranteed. Thank you very much. PCH Search & Win. Claiming my entry # 2 of 50 Cash Winners from the bulletin in this exclusive giveaway. Cash Winner Guaranteed. Thank you very much. PCH Search & Win. Claiming my entry # 3 of 50 Cash Winners from the bulletin in this exclusive giveaway. Cash Winner Guaranteed. Thank you very much. And Yes, It could all start with a memorable visit from the Prize Patrol at my residence. PCH Search & Win. Claiming my entry # 4 of 50 Cash Winners from the bulletin in this exclusive giveaway. Cash Winner Guaranteed. Thank you very much. CH Search & Win …Cash Winner Guaranteed…Claiming my entry # 5 of 50 Cash Winners from the bulletin in this exclusive giveaway. Thank You very much. PCH Search & Win. Claiming my entry # 6 of 50 Cash Winners from the bulletin in this exclusive giveaway. Cash Winner Guaranteed. Thank you very much. PCH MAKE “ALL MY DREAMS COME TRUE! PCH Search & Win…Golden Ticket Prize… I want to win $ 1O, OOO, OOO.OO SuperPrize from (PCH Gwy. No. 11OOO) to Win a Life-Changing and wish to win $25,OOO.OO Cash Prize from (PCH Gwy. No. 11475) Thank you. Enteting my 4 entries to win $1,000.00 Thanks! Yes I would love to win the 1,000.000.00 Ana the 5000 a week for life it would be a dream come true for me and my family. PCH Search&Win…VIP Elite…I want the chances to win a vip exclusive $1,000.000.00. Claiming my entry #1. PCH Search&Win…VIP Elite…I want the chances to win a vip exclusive $1,000.000.00. Claiming my entry #3. I’m Searching From All FOUR Buttons To Claim My Reward! I’m claiming this reward by searching from all four buttons before tomorrow’s 11:59 PM, ET entry deadline! PCHSearch&Win:Success!Special VIP Elite Rewards Approved!Chance #5/6:As a VIP I am happy to enter and claim my Entry to Win $1,000,000.00 Plus a $50,000.00 from PCH Hwy,No,11812&10424. $1,000,000.00 VIP Exclusive Prize!PCH Gwy,No,11812. Yes I would love to win the 1,000.000.00 it would be a dream come true for me and my family. I’m claiming Full Entitlement for 7 opportunities to win! This Entitlement Decree Stipulates that I Sheryl Bork will be fully ENTITLED to claim ALL 7 of these opportunities to win by searching from ALL 7 BUTTONS below. I won’t forfeit Full Entitlement… I’m searching from ALL 7 buttons by the 11:59 PM, ET entry deadline. Among other prizes I’ll get in to win the “Forever” Prize-$2,500.00 a week for the lifetime of a winner, followed by $2,500.00 a week for the lifetime of a beneficiary of a winner’s choosing. My prompt attention is obligatory to satisfy the requirements of this Decree. Here I am a date before prize day hoping to win the $1000000 when it all prize it would be a dream come true if this opportunity let me be a winner from New Jersey I’m hoping and I would love it. While waiting on PCH Surprise Winning Moment for PCH Gwy. No. 11000, Here is another Surprise…while I wait I can SEARCH FROM ALL 5 BUTTONS to get in ALL FIVE TIMES to ultimately WIN ANOTHER MILLIONAIRE – MAKING PRIZE! I’m hurrying – – before the 11:59 PM, ET entry deadline expires. PCH has all of the information secured for their Surprise Winning Moment for PCH Gwy. No. 11000, Here is another Surprise…while PCH waits I can SEARCH FROM ALL 5 BUTTONS to get in ALL FIVE TIMES to ultimately WIN ANOTHER MILLIONAIRE – MAKING PRIZE! PCH has all of the information secured for their Surprise Winning Moment for PCH Gwy. No. 11000, Now, here is another surprise…while PCH waits I can SEARCH FROM ALL 5 BUTTONS to get in ALL FIVE TIMES to ultimately WIN ANOTHER MILLIONAIRE – MAKING PRIZE! PCH has all of the information secured for their Surprise Winning Moment for PCH Gwy. No. 11000! Now, here is another Surprise…while PCH waits I can SEARCH FROM ALL 5 BUTTONS to get in ALL FIVE TIMES to ultimately WIN ANOTHER MILLIONAIRE – MAKING PRIZE! PCH has all of the information secured for their Surprise winning moment for PCH Gwy. No. 11000! Now here is another surprise…while PCH waits I can SEARCH FROM ALL 5 BUTTONS to get in ALL FIVE TIMES to ultimately WIN ANOTHER MILLIONAIRE – MAKING PRIZE! Are you headed my way PCH? A SuperPrize Will Be Awarded Today! The Prize Patrol is on the road now, ready to surprise the newest PCH winner! Plus, I’m searching from each button today at PCHfrontpage and I could win BIG! PCH, when a winning opportunity knocks, yes I will answer. I’m heading to PCHFrontpage and Searching Now. I’m Searching Now and I Could Win BIG! Plus, Prize Day winners will be announced today. PCH definitely is giving away LOTS of prizes including PCH Top Prize of $10,000.00 CASH from PCH Gwy. No. 10806! I’m searching from each button today at PCHfrontpage and I could win BIG! PCH, when a winning opportunity knocks, yes I will answer. Plus, Prize Day winners will be announced today. PCH definitely is giving away LOTS of prizes including PCH Top Prize of $10,000.00 CASH from PCH Gwy. No. 10806! I’m going for $10,000,000.00 Plus MORE! I’m Searching Now for ALL SIX PRIZES before tonight’s midnight (ET) entry deadline. I Won’t Let My Reward Go To Waste! Plus 10X Entries To Win A VIP $100,000.00! I’m claiming all TWENTY Chances to win from PCH Gwy. No. 12211 and PCH Gwy. No. 1182 by searching from each button before 11:59 PM, ET. I’m claiming all TWENTY Chances to win from PCH Gwy. No. 12211 and PCH Gwy. No. 11812 by searching from each button before 11:59 PM, ET. Plus 10X Entries To Win VIP $100,000.00! Yes I’m claiming all TWENTY Chances to win from PCH Gwy. No. 12211 and PCH Gwy. No. 11812 by searching from each button before 11:59 PM, ET. Yes, I’m claiming all TWENTY Chances to win from PCH Gwy. No. 12211 and PCH Gwy. No. 11812 by searching from each button before 11:59 PM, ET. I hope to win the $1000000 cash prize the $1,000 a day 4life price this would be a dream come true for me and my family. Yes I would love to win 1,000.000.00 cash prize it would be a dream come true for me!!! – I’M SEARCHING NOW FOR FULL ACCESS! I Won’t Risk Missing Out! FIVE Prizes Are At Stake! Good morning dear PCH I’m searching for a chance to win this $1,000.000,00 superprize award. I’ve Qualified For A VIP ELITE Reward! YES PCH, I’M READY TO WIN! Amazing Cash Prize Event PLUS Millions up for grabs! As you can see I sent you the correct entry number. Pardon me for the error! I would love to win the 1,000.000.00 and the win it all price on December 21st it would be a dream come true for me and my wife . Yes, Special Holiday Event Prizes! For VIP Elite eyes only! Yes I wish to win the $1000000 cash price it will be a dream come true. VIP Elites like me deserve this! PCH MAKE ALL MY DREAMS COME TRUE! Yes I want to win $1 Million From PCH After 41 years of entering and paying I think I deserve to win. it would definitely be really wonderful if the prize Patrol would show up at my doorstep tomorrow with the big check for $1000000 I would be so happy it would be my dream come true! WIN $1MILLION VIP EXCLUSIVE SEARCH 3! I would love to win $1000000 from Publishing Clearing House cash price it would be a dream come true for me and my family. Yes I’m searching and yes I wish to win the $1000000 cash price it would be a dream come true to be a Publishing Clearing House superprize winner. I would love to win the 1,000.000.00 dollar price and the win it all prize this would be a dream come true for me and my family! this would be a dream come true to win this prize yes!! Yes I would love to win the VIP 1,000.0000.00 it would be a dream come true for me and my wife are kids. Yes I would love to win! Cash price it would be a dream come true to be able to win it all ! Yes I wish to win the $1000000 cash prize from PCH I hope the police patrol deliver it to my front door on 2/28/19 YES. YES . 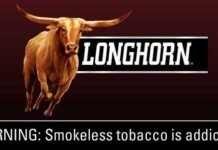 SEARCH TO WIN $1,000,000.00 AT STAKE! I hope to be publishing clearing house next big prize winner of the $1000000 super prize this would be a dream come true for me and my family. I’m looking forward to be the winner of the $1,000,000.00. It will be a miracle blessing to complete my Good intention planning. YES. YES. YES. YES. YES. YES.! It would be a miracle dream to win $1,000.000.00. It would be wonderful to win this $1,000,000.00 to enable me to put So mush smiles on the well deserved people. Yes I would love to win,! PCHSearch&Win:Final Notice-Action Require:Search #6/10:I want to claim my entry for $1,000,000.00 Superprize to Win on February 1st 2019!PCH Gwy,No,11812. Yes I would love to win the 1000 a week forever prize it would be a dream come true for me and my wife are kids. SEARCH TO WIN TODAY $1,000,000.00! SEARCH 2 TO WIN TODAY $1,000,000.00! SEARCH 3 TO WIN $1,000,000.00! SEARCH 4 TO WIN $1,000,000.00! Yes I hope to be a part of prize day I hope the price Patrol make a delivery to New Jersey it would be a dream come true to receive a price on prize day from the prize Patrol fingers crossed all wishes are in and prayers going up hope to meet the price for troll on prize day. WIN IT ALL INCLUDING 4X ENTRIES TO WIN A 2019 FORD EXPLORER PLATINUM TOMORROW VALUED AT $55,530.00! I, Mr Matthew Boin, Claim Prize NO. 02705661110 and validate it’s entry to win $ 1,000,000.00 a year forever from Gwy 18000. SEARCH 2 OPPORTUNITY TO WIN $1,000,000.00!!! Yes please, I would like to claim my 5x entris to the 1,000.00 a week for life win it all sweepstakes. Million dollars and Ford exployer. That would be a blessing. WIN VIP ELITE EXCLUSIVE PRIZE OF $1 MILLION!